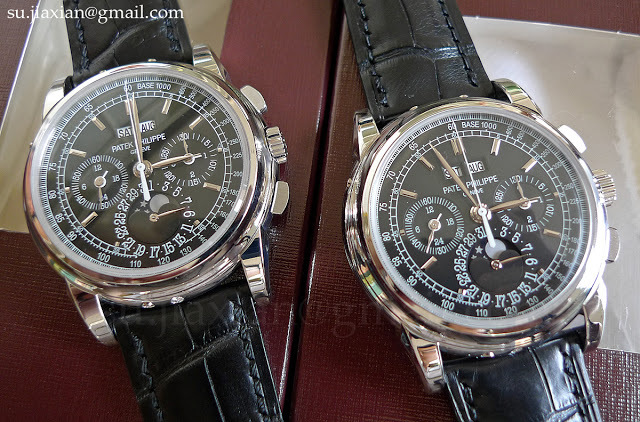 I recently attended a gathering of Patek Philippe collectors, or members of the Patek cult to be precise. The Baselworld 2011 offerings from the Geneva house were naturally discussed, including the ref. 5270G, which got me thinking. The 5270 has an illustrious history, beginning with the ref. 1518 which was the first serially produced wristwatch to contain the perpetual calendar and chronograph complications. 281 of these were made from 1941 to 1954. It was succeeded by the ref. 2499, made from 1950 to 1985 with a total production of 349 pieces. Both the refs. 1518 and 2499 utilised the Valjoux 23 ebauche, or movement blank, a fine example of a classic column wheel chronograph calibre. The 2499 was replaced by the ref. 3970 which lasted from 1985 to 2005. 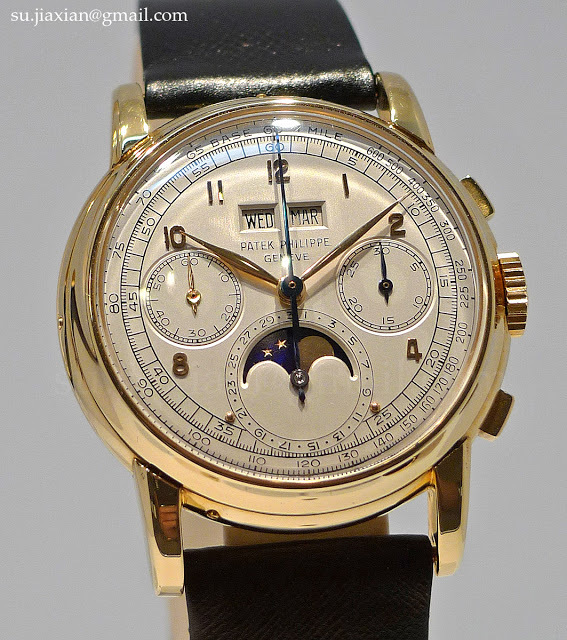 It utilised the Lemania 2310 ebauche, as the Valjoux 23 has been discontinued in 1974 though Patek Philippe’s inventory kept the 2499 going for 11 years after. The replacement of the 3970, the 5970 was essentially a 3970 in a larger case. But unlike its predecessors, the 5970 only last from 2005 to 2011, when it was replaced by the new 5270. And inside the 5270 lies the CH29 calibre, the first in-house chronograph calibre from Patek. The evolution of the Patek chronograph-perpetual offers an insight into how the industry has evolved over the course of the 20th century’s post-war period. One of the major changes has been the shift from etablisseur structure – where watchmakers bought ebauches from movement suppliers like Valjoux, LeCoultre and the like. There was no shame in using outsourced movements, in fact it was the norm. 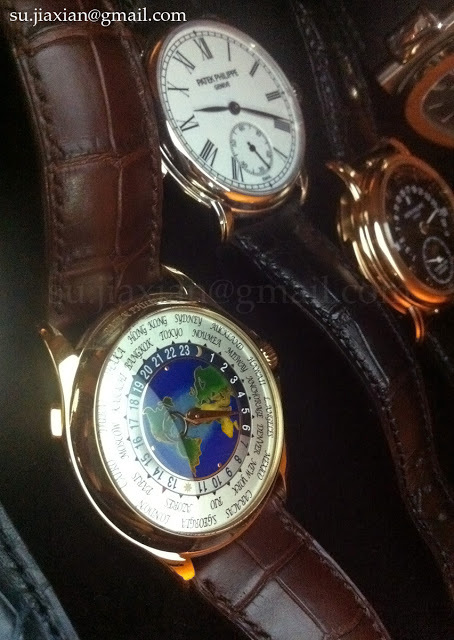 Patek used the same Valjoux 23 ebauche as Heuer, Longines and assorted other less premium brands. But there was no shame. ﻿﻿﻿﻿﻿ ﻿ That began to change in the eighties, with one of the key drivers in the shift being the genius Jean-Claude Biver, who in the process of resurrecting Blancpain (and the integration of Frederic Piguet), began to emphasis the issue of manufacture and in-house production. Today it is regarded a de rigeur that a haute horlogerie watch brand must have in-house production. Of course there more practical reasons for the shift towards in-house, like the need for flexibility as well as inability or difficulty ofobtaining outsourced movements. As I have written elsewhere, the much publicised threat by Swatch Group to end ebauche supplies to non-Swatch companies accelerated the trend towards in-house production, but did not cause it. The other notable trend is the shortening of model lifespans. The refs. 1518, 2499 and 3970 lasted 13, 35 and 20 years respectively. The 5970 was produced for six years. It remains to be seen how long the 5270 will last in its current configuration; because it is a proprietary movement I expect it will have longevity, but certainly not as much as its predecessors at least in terms of aesthetics. That is because the watch industry has changed. It has become a much, much larger and more lucrative industry than before, particularly at the high-end. Output has grown. Not only were the refs. 1518 and 2499 long-lived, they were made in tremendously small quantities of several hundred over decades. Though it has to be said that the 2499 lived through the so-called quartz crisis, so that is a mitigating factor. I am certain the 5970 was made in similar quantities, but over a span of six years. Ditto for the future production of the 5270; Philippe Stern himself commented to me last year that the CH29 is designed to be easier to manufacture and assemble than the Lemania-based CH27. And the watch industry now also operates at quicker pace, ultra-high beat if you will. It’s moving closer towards the fashion industry, with multiple collections each year, rather than the car industry where models live on seven year cycles. Brands relentless push out new products annually at SIHH and Baselworld, and the more ambitious brands unveil additional new products throughout the year as well. There are not many brands which have a single model line spanning decades that illustrate the ups and the downs of the watch industry. 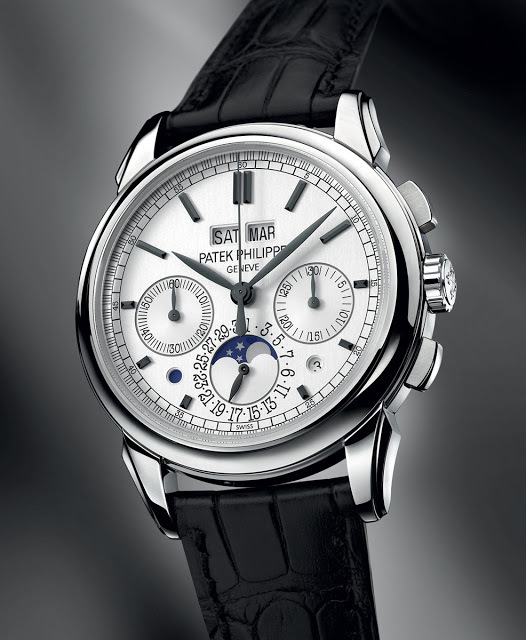 Patek is one of them, and that is one of its enduring strengths. – SJX Thanks to Antiquorum for the data on Patek production figures.